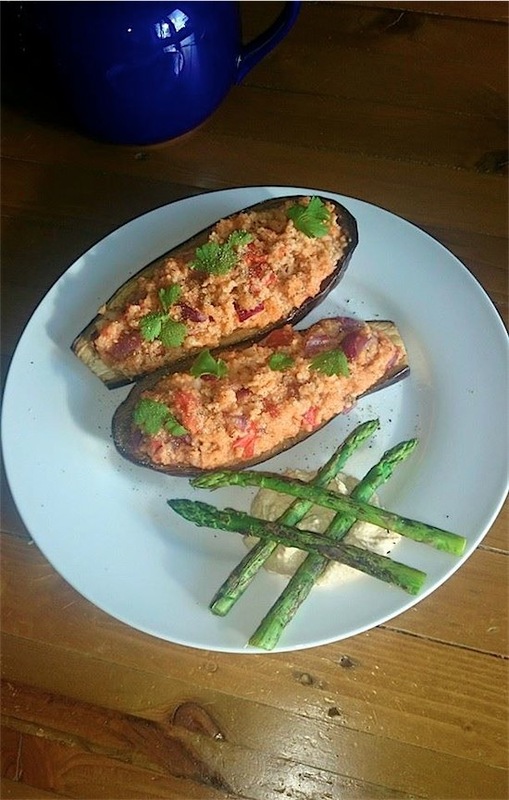 LaNoire’s Vegan Kitchen :: Stuffed Aubergine! Stuffed aubergine makes a wonderful vegan meal that is healthy and nutritious. Vegan food at it’s best, packed with flavour! Stuffed Aubergine! Easy to make and oh-so-tasty – the perfect vegan meal for the whole family to enjoy now that Spring is here. Cut the stems off the aubergines and cut each in half lengthwise. Cut away the aubergine pulp, leaving a shell about ½ inch thick all around. Chop the aubergine pulp finely and set aside. Place the aubergine shells in a suitable oven dish with about 1/4 inch of water at the bottom. Cover with foil and bake for 15 – 20 minutes. Meanwhile, prepare the stuffing. Bring water to a boil in a saucepan, then add the couscous it to the water. Cook at a steady simmer until done, drain, then leave for about 10 minutes and fluff with a fork.  Heat the olive oil in large frying pan. Add the diced aubergine and the garlic and cook over low heat until the aubergine is just turning tender. Add the red onions and tomatoes and cook until they’ve softened a little. Add the remaining ingredients (except the asparagus and houmous), followed by the cooked couscous Stir together and cook for just another minute or two, then remove from the heat. Remove the aubergine shells from the oven and divide the couscous mixture between them. Don’t worry if there’s too much, save it to use as a tasty side dish! Once filled, put the stuffed aubergines in the oven. Bake for 10 minutes, or until the aubergine shells can be easily pierced through with a fork, but aren’t overdone and soggy! Add the asparagus to the same frying pan and just keep moving them around until lightly browned. Next Post Milou & Pilou, adorable vintage inspired girls clothing to coo over!